Three of the world's leading automakers are joining forces to develop safety standards for self-driving cars. The new consortium will be called the Automated Vehicle Safety Consortium (AVSC), and it will be affiliated with the prominent auto engineering group SAE International. The founding members are Ford, GM, and Toyota. All three companies have invested heavily in self-driving technology, making self-driving safety much more than just a theoretical concern for them. GM is the parent company of Cruise, a self-driving taxi startup that is currently testing dozens of autonomous vehicles in San Francisco. Ford has a similar effort called Argo that's testing in Miami and working to expand to Washington DC. If you want to know about the state of the auto industry in the US, look no further than Ford. Once the home of sedans like the Taurus and Crown Victoria, Ford has decided to largely give up on cars and focus its efforts on SUVs and trucks. That means more attention to models like the Explorer and Escape, plus the return of the Bronco (will it be available in OJ Simpson White?). Oh, and the Ford Edge has gotten some serious love from Ford for 2019—it has been redesigned with lots of help from the Ford Performance Team. Let's have a look. The Ford Edge slots roughly into the middle of Ford's massive lineup of SUVs and crossovers. On the smaller side are the EcoSport and Escape; the Explorer, Flex, and Expedition complete Ford's range of SUVs. At 188 inches long (4,775mm), the Edge looks more like a squat SUV with a blunt-looking front end than other compact crossovers like the Volkswagen Tiguan. Ford's makeover for the Flex manifests itself with new bi-LED headlights, new 18-inch bright-machined aluminum wheels (20-inch wheels come with the Titanium Elite package), sportier-looking front and rear fascia, and a wider grille. And you can admire the new liftgate appliqué as you walk toward the Edge with your bags of groceries. 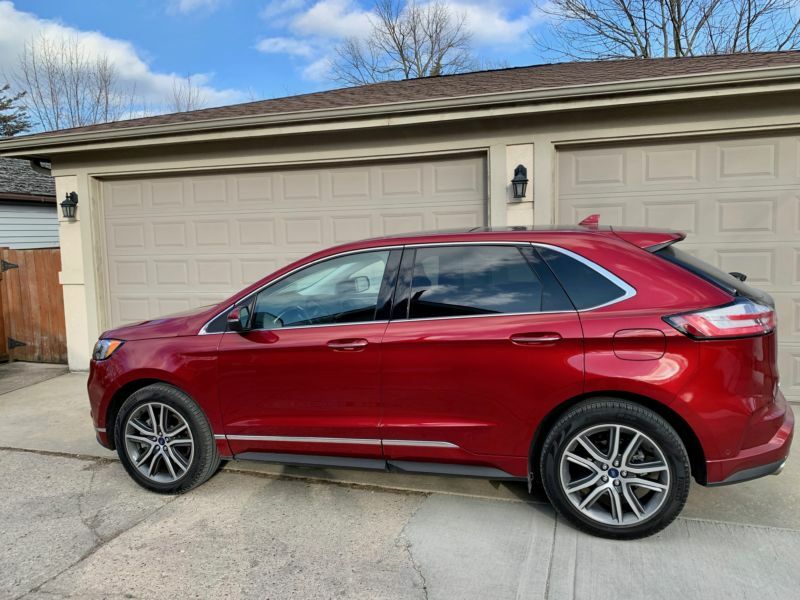 As is the case with most compact crossovers, Ford has equipped the Edge with a 2.0L, 16-valve turbocharged engine capable of 250hp (184kW) at 5,500rpm and 275lb-ft (373Nm) of torque at 3,000rpm, which comes with the SE, SEL, and Titanium trim. The Edge SL has a 2.7L 24-valve EcoBoost V6 that offers 335hp (246kW) at 5,500rpm. There's a new eight-speed automatic transmission with standard front-wheel drive (all-wheel drive is standard on the SL and available across the rest of the lineup). Our review car had the four-banger under the hood. GM is laying off another 4,000 workers, the company acknowledged on Monday. The cuts are on top of thousands of job cuts the company announced last November. Those earlier cuts were concentrated on the factory floor, with GM shuttering five manufacturing plants in the United States and Canada. The new cuts, by contrast, are to salaried white-collar jobs. Individual workers will be notified over the next two weeks, the company said. GM has reported billions of dollars of profits over the last three quarters. 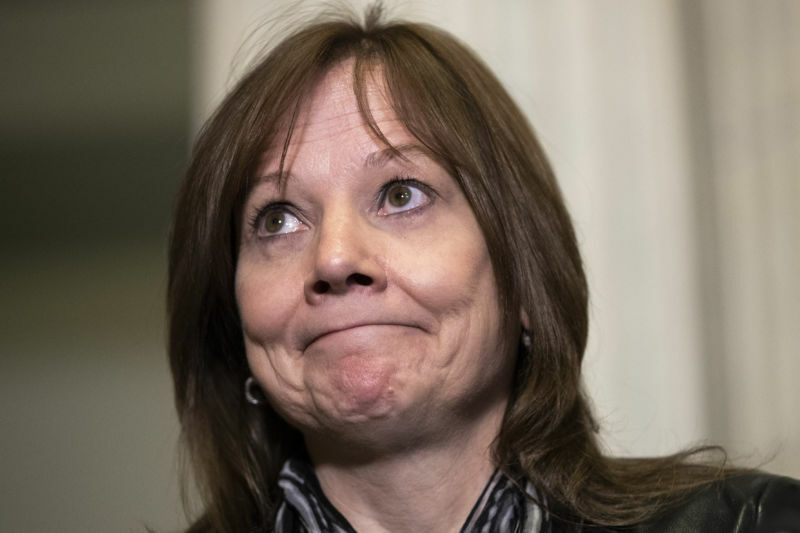 But CEO Mary Barra argues that GM still needs to cut its costs to prepare for the dramatic changes facing the automotive industry in the coming years. We have seen a couple of big news days for two of the world's biggest automakers. On Monday, Ford used the North American International Auto Show in Detroit to announce the Shelby GT500, an uber-Mustang, as well as new Explorer crossovers. 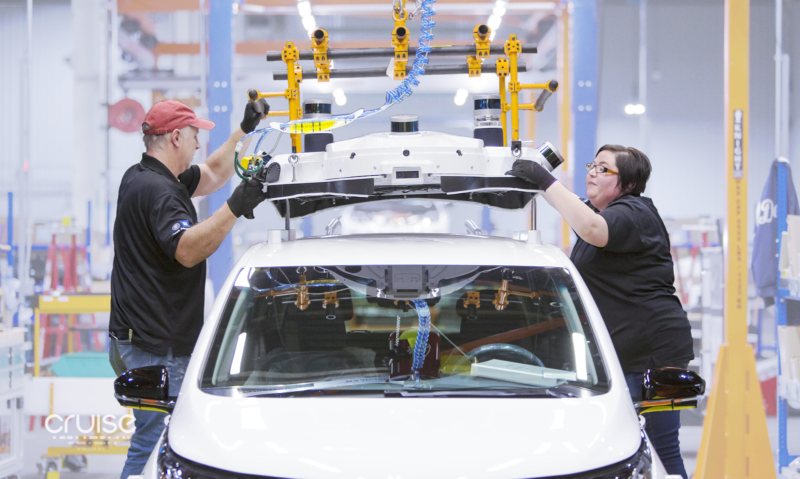 The same day, Volkswagen—one of the few German brands to attend Detroit this year—revealed the latest Passat sedan and an $800 million investment in its plant in Chattanooga, Tennessee. The US plant is to become VW's North American base for manufacturing electric vehicles, adding 1,000 new jobs with production of electric vehicles using the new MEB architecture beginning in 2022. You'd think that either company would be relaxing at this point; after all, both just laid out some pretty strong plans to sell a lot of vehicles here in the US market. But throughout yesterday, automotive Twitter (yes, it's a thing) was a-buzz with news of something else, a joint press conference between the two rivals. On Tuesday morning we got our answer: a global alliance between Ford and Volkswagen, with each contributing one of its strengths in an area where the other has a weakness. It's not a merger, and no shares are trading hands between the companies. But it will involve plenty of collaboration. First up? 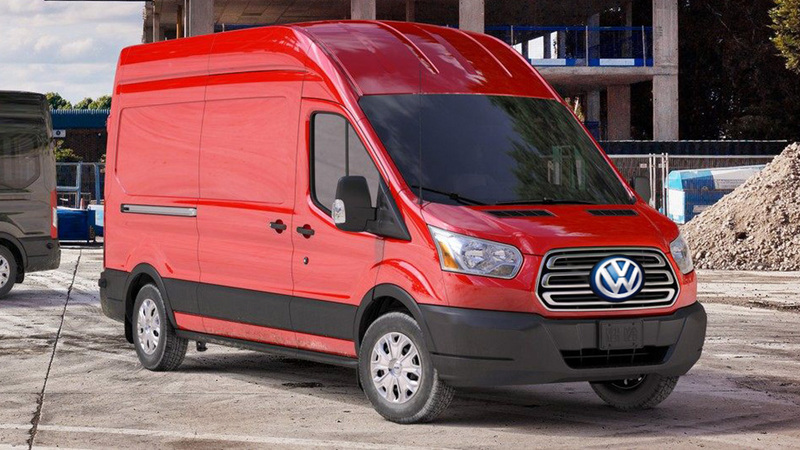 New commercial vans and medium-sized pickups for the global (read not-US) market. And that's medium-sized as determined by those markets, so we're talking Ranger-sized, not F-250 monsters. Ford will build pickup trucks to be badged by both automakers, starting in 2022. It will also develop a replacement for the Transit van, with VW taking responsibility for a new city van due in 2023. On Monday morning, the second-worst secret in Detroit finally got its official reveal. I am of course referring to the newest, fastest, and biggest-grilled (that's a word) Ford Mustang ever, the Shelby GT500. (Number one is obviously the mid-engined Corvette C8.) Under its now-bulging hood is a supercharged version of the 5.2L "flat crank" V8 that sounded so good in the Shelby GT350. The addition of some forced air will give the GT500 "more than 700 horsepower" (522kW), according to the spec sheet—full figures will have to wait until closer to the car's showroom arrival later this year. To cope, it gets a new dual-clutch transmission from Tremec; sorry stick shift fans, there is no three-pedal option this time. The rest of the car takes this same approach: start with the GT350 then turn everything up to 12 (because 11 is passe.) The scoops and vents are bigger, because the more powerful engine and stronger transmission need more cooling. So, too, do the brakes, similarly supersized—the front rotors now measure 16.5in (420mm) which is a hefty increase in thermal mass. 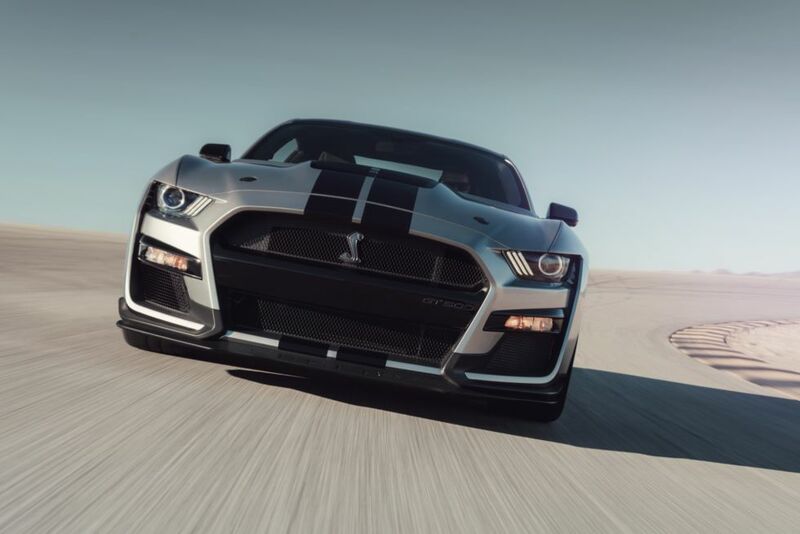 It's the front that dominates the GT500's appearance. Ford says it has double the open area of the GT350—a stat we don't doubt—and that cooling airflow is 50 percent higher. There's revised suspension geometry to cope with all this excess, and like the Mustang GT we tried driving last year, there's a full suite of track-biased electronic trickery on offer from the MagnaRide suspension and the powertrain. If you opt for the Handling Pack you get some additional goodies, including adjustable strut top mounts and a spoiler with a Gurney flap. Or you can go for the Carbon Fiber track package, which includes carbon fiber wheels (slightly wider at the rear), ultra-sticky Pilot Sport Cup 2 tires from Michelin, the adjustable wing and splitter from the GT4 Mustang race car, and no back seats. 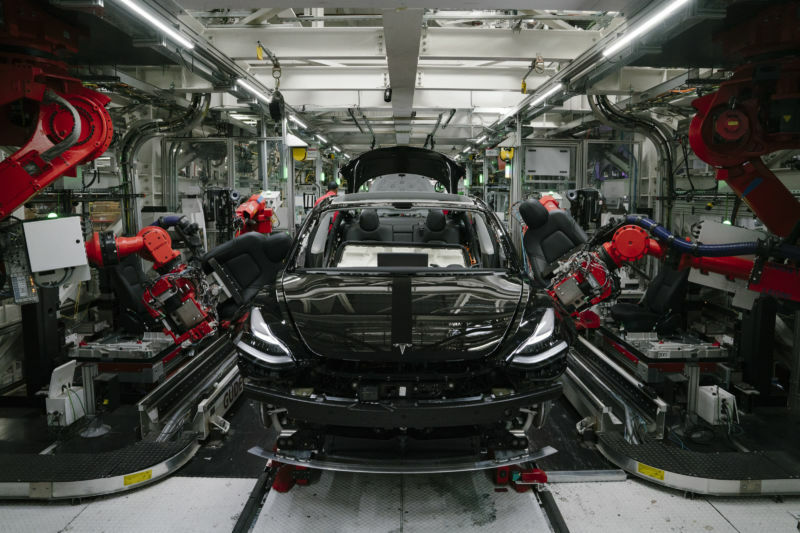 At least six black former Tesla employees have told The New York Times that they suffered from racial harassment while working at the company. Three racial discrimination lawsuits have been filed against Tesla since early last year. One man, DeWitt Lambert, shared a video in which an unidentified man walks around Tesla's factory floor and—addressing Lambert—threatens to "cut you up … so everybody can have a piece of you, n*****." In a lengthy statement to Ars Technica, Tesla faulted the Times for extrapolating from "a very small number of claims" to paint Tesla in an unflattering light. 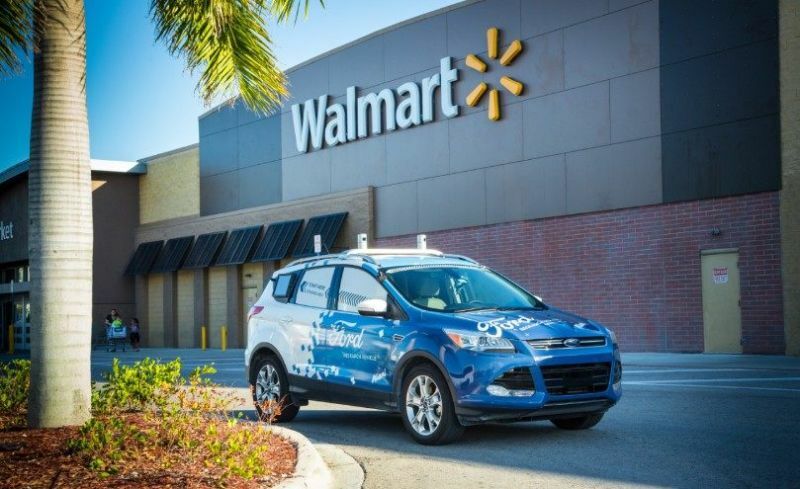 Ford is working with Postmates and Walmart on a pilot program for self-driving grocery deliveries, the companies announced on Wednesday. 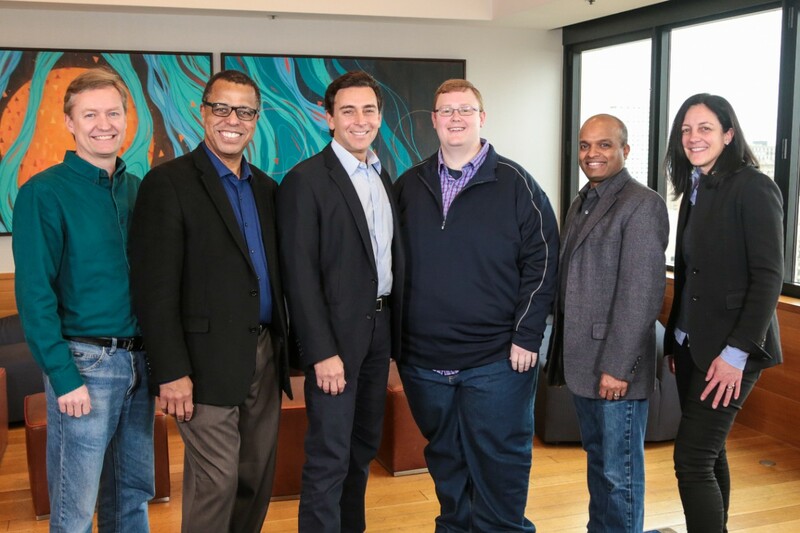 "We are exploring how self-driving vehicles can deliver many everyday goods such as groceries, diapers, pet food and personal care items," Ford said in a press release. The grocery delivery pilot experiment will be based in Miami, where Ford's self-driving car company, Argo, is already testing self-driving vehicles. Ford had been testing self-driving deliveries with Postmates prior to this announcement. On Thursday, Ford announced a recall affecting almost 1.3 million cars in the US. 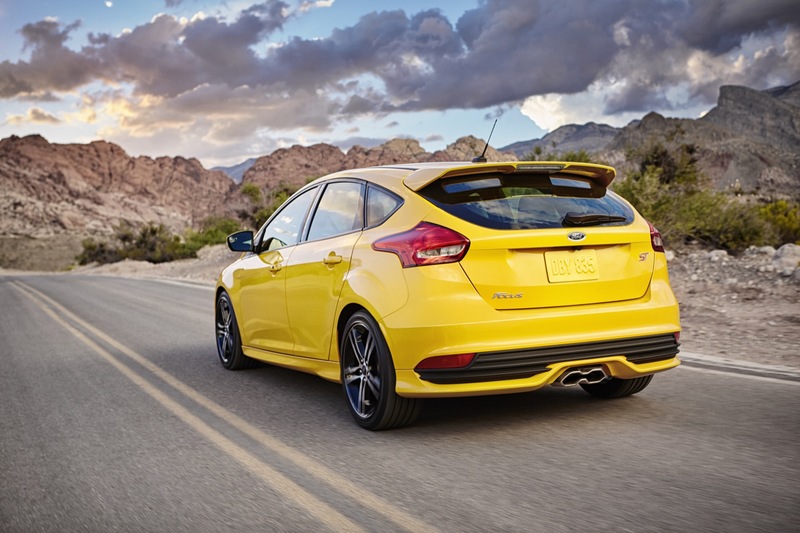 It covers the 2012-2018 model year Ford Focus; specifically those with either a 2.0L GDI engine built before April 13, 2017, or those with a 2.0L GTDI engine built before February 2, 2018. A further 136,272 vehicles are affected in Canada, with 44,521 more in Mexico. The problem is with the evaporation system fitted to the cars' fuel tanks. The affected cars have canister purge valves that can refuse to close, which in turn could cause enough vacuum within the tank to deform it. Ford says that the concern is that cars could refuse to start or stall while driving refuse, and then refuse to restart. Affected vehicles may display a malfunction indicator light, or maybe just a fluctuating fuel gauge. The fix sounds relatively simple: a reprogrammed control module that detects if the purge valve is malfunctioning and prevents the above from happening. Ford dealers will also inspect and replace affected fuel systems if necessary. NEW YORK—It seems like barely any time has passed since our last major auto show, but the world’s auto makers are back in Manhattan this week for the 2017 New York International Auto Show. You’ll be able to read (and watch) our take on many of the new vehicles on display in the coming days, but what follows are our picks for the best new models you’ll be able to see at the Jacob K. Javits Convention Center, starting today when the auto show opens to the public. 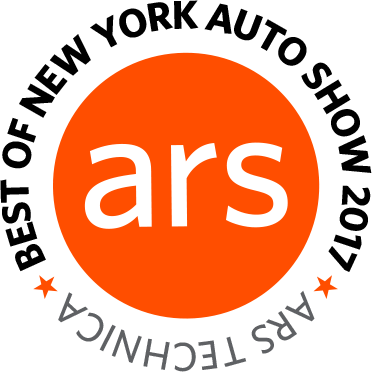 Since this is a technology site, we’ll kick things off with the best new automotive technology of this year’s NYIAS. 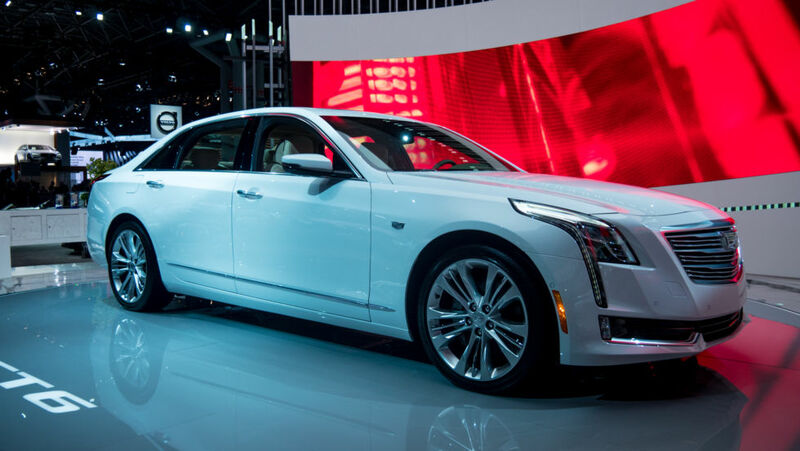 That honor belongs to Cadillac, which is joining the semi-autonomous driving fray with its new “level 2” system, called Supercruise. We have driven some pretty good semi-autonomous systems recently: Audi, Volvo, and Tesla all spring immediately to mind. These use a combination of adaptive cruise control and lane keeping assists to keep your car on track on the highway, backing up the human driver to counteract fatigue and provide a little digital helping hand on long drives. Supercruise combines those two driver assists with a few extra neat features that mark the next step on the road to fully self-driving vehicles. If you had to pick a single buzzword to define the auto industry of late, it would have to be “mobility.” Car companies are coming to grips with demographic and socioeconomic changes and the rise of the sharing economy and are moving beyond the old way of doing business, i.e., just building cars and selling them to customers. Ford has been on the leading edge of this trend, announcing in August last year that it plans to put an SAE level 4 autonomous vehicle into mass production as a ride-sharing service in 2021. Today, it announced that, as part of that plan, it is investing $1 billion over five years in a company called Argo AI, a startup led by the former leads of Google and Uber’s self-driving programs. This isn’t the first strategic investment in self-driving technology from the Blue Oval. As part of last August’s reveal, the company announced it was investing in lidar sensor-maker Velodyne and 3D-mapping company Civil Maps. Ford also purchased a machine-vision company called SAIPS and entered into a licensing agreement with another, Nirenberg Neuroscience.